Memorial service for Gary Gordon will be held at 2:00 p.m., Friday, March 29,2019 at Weston County Senior Center, Newcastle, WY. Inurnment with military honors will take place at a later date at Ash Hollow in Lewellen, NE. Gary Gordon passed away March 17, 2019 at the Weston County Memorial Hospital at the age of 82 following a battle with cancer. 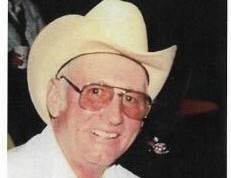 Gary was born to Billie J. and Thelma Mae (Bandy) Gordon on February 18, 1937 in Alliance Nebraska. He was joined shortly with a brother Bruce Gordon and then a baby sister Linda Gordon. Gary grew up riding a horse to school with his brother in the Racket community in the sandhills of Nebraska. He graduated from Lewellen High School in May of 1954. He enlisted in the U.S. Navy in December of 1956 and served on the U.S.S. Hornet as well as other ships. Following his discharge he returned to the family ranch in Nebraska. Gary married Micky Lee Wilson on March 3, 1961 in Rapid City, South Dakota. After their marriage they soon moved to the Gordon Ranch when his parents Billie and Thelma purchased the ranch south west of Newcastle in 1962. Shortly after they moved their one and only son, Glenn Alan was born. They raised their son on the ranch with Billie and Thelma. Gary remained at the ranch from that time on and enjoyed his time there very much. He and Micky enjoyed the community and their good friends and neighbors.